The American Association of State Highway and Transportation Officials (AASHTO), AAA and the U.S. Chamber of Commerce announced that the Florida Department of Transportation (FDOT) earned the grand prize and the people’s choice awards in the 2015 America’s Transportation Awards competition. 48 transportation projects from 24 states were nominated in the 8th annual competition. The 10 projects that received the highest number of points in four regional competitions were in the running for the top prizes announced at the AASHTO Annual Meeting in Chicago in September. A panel of judges selected FDOT’s $670 million Port of Miami Tunnel project to receive the grand prize. This project created a direct connection between the Port of Miami and the interstate highway system, decreasing traffic congestion in downtown Miami and supporting freight, regional commerce and projected growth in demand. 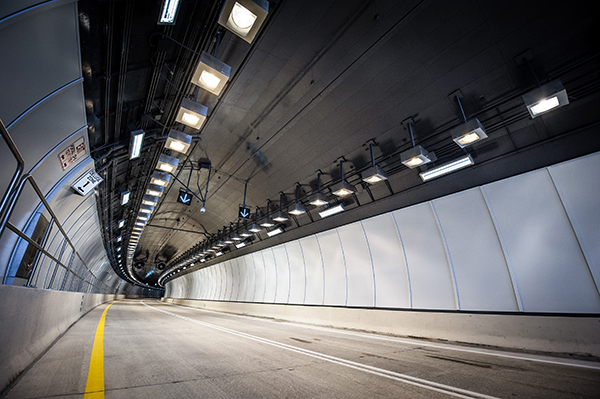 Construction teams had to build the tunnel through South Florida’s challenging limestone and coralline formations, creating the largest soft ground bored road tunnel in North America. FDOT’s I-595 Corridor Improvements Project earned more than 56,000 online votes, making it the winner of the people’s choice award. This $1.2 billion project relieved traffic congestion and created a multimodal transportation network along I-595 in South Florida. Through a public-private partnership, design and construction teams completed the project on time and $275 million below the originally estimated cost of the project. With express lanes, express bus service and a bike/pedestrian greenway, the project improves multimodal travel for the region. “America’s Transportation Awards showcase transportation innovation that is occurring across the country. These investments will ultimately improve safety and mobility and they underscore the importance of investing in transportation infrastructure to meet the demands of a growing national economy,” said Jill Ingrassia, Managing Director of Government Relations and Traffic Safety Advocacy at AAA. The grand prize and people’s choice award winners are presented with $10,000 cash prizes to be used to support a charity or transportation-related scholarship program of the agencies’ choosing. Learn more about the contest and this year’s entries at: americastransportationawards.org.